It is crucial to get your readers onto your email list. Once you do that you can bring your readers back to your blog over and over again. But many bloggers struggle to get people onto their email list. I know how challenging the list building is. 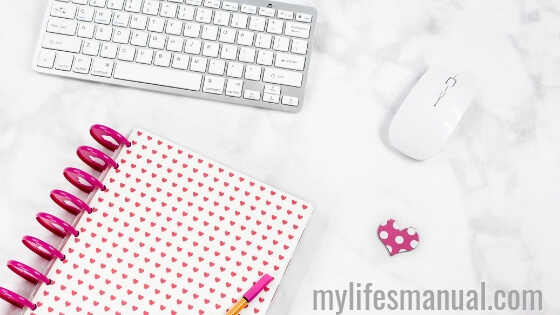 I hope these 3 amazing reasons inspire you to get started growing your lists. I am surprised about how amazing it is to have engaged people on my email list. I can quickly reach out to them to tell my story, share my newly published post and get instant traffic to my offers. How many times do you find yourself browsing the web, hopping from one site to the next and actually finding some pretty cool blogs? It happens to me all the time and I have every intention of going back to some of those blogs to read more. Sometimes I even remember to bookmark them. But the chances of me ever finding my way back there or digging through my list of hundreds of browser bookmarks are slim to none. And the vast majority of people that stumble across your blog are the same way. That’s not a very effective way to grow a loyal readership. That’s why you should have a freebie that readers can opt-in before they leave your site. Getting your readers onto your email list should be your blog post goal before thinking about driving massive traffic to your blog. This post contains affiliate links. I might receive a small commission when you purchase from this site at no extra cost to you. Thank you for your support. HOW TO GET YOUR READERS ONTO YOUR EMAIL LIST? To get your readers onto your email list you have to create a freebie to give away and use an email service provider to deliver your opt-ins. Opt-in freebies should be something that your readers would want to have that they can consume quickly. 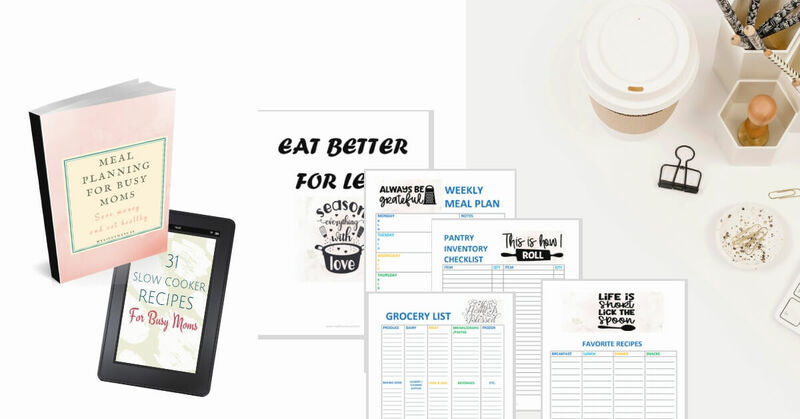 For beginners, it can be a printable template, a free report or a checklist. Don't over complicate creating your opt-in freebie. It does not have to solve your reader's entire problem. Let say, your post is about how moms can make their young kids do chores, you can give away something like age-appropriate chores printable. If you are struggling to create a freebie, you can get Done-For-You Contents. Ready-to-publish JOURNALS are available here. Journals are great for lead magnets and an opt-in freebie. For an email service provider, Mailerlite has beautiful landing pages, easy to set up automation and free for your first 1000 subscribers. Expect great customer service too. Thinking about email marketing, growing your list, creating opt-in freebies and setting up your email automation can be overwhelming. It is overwhelming, to be honest! But if you are taking one step at a time you'll realize that is so much easier. Growing your email list is very important. This is the only thing you have control in your blog and business. You won't have to worry about algorithm changes, if your blog posts rank on page one or if your social media posts are getting engagement. If those reasons are not enough for you to get started building your email list, hopefully, the three awesome reasons I have below inspire you to give it a try. Before you continue reading, don't miss out on free resources to grow your blog fast. Traffic Transformation Guide to increase your blog traffic and sales. 12 Month Blog Plan to Grow Your Blog to Thousands per Month. Use this guide to launch your blog. Know what to do exactly every day. Your Guide to getting traffic to your affiliate links. You will get a content marketing template, 7 content creation template and bylines templates with a call- to- actions. 1. You can send out a quick little email inviting them to read your latest blog post whenever you’re publishing a new post. You hit publish, and your new awesome blog post is up. For the next few hours and days, you will be spending a lot of your time promoting your new content and getting blog traffic. You know your post is amazing, it can help your readers solve their problem but the struggle in getting blog traffic is real. What if you have readers on your email list? It's free traffic unless you're paying for your email service provider. If that is the case switch to Mailerlite, it is free up to 1000 subscribers. You can send your email list an invitation to read your new blog post. You can reach out to them at any time. Amazing right? 2. Share your social media posts and profiles with your list and grow your reach with nothing more than an email that invites them to interact with you on your Facebook Page or follow you on Pinterest. Engagement on Social Media and Pinterest is the name of the game. Are you posting on social media promoting your new blog post hoping to get some engagement? You want to promote your content on all Social Media Platforms and get blog traffic to your site. You want the reader's engagement. What if you have loyal readers on your email list? You can quickly invite them to check out your Social Media post. 3. Frankly, the best answer is to build that relationship and then make offers via email. You don’t have to be spammy about it or sound like a used car salesman. Instead, share some helpful information, give them some tips and then invite them to learn more or implement it with the product you’re recommending. And with each email you sent, your readers get to know you a little better. Ideally, that means they’ll also like and most importantly trust you more. Once your readers know, like, and trust you, they'll gladly take you up on product recommendations you make to them. Need help making beautiful pins? 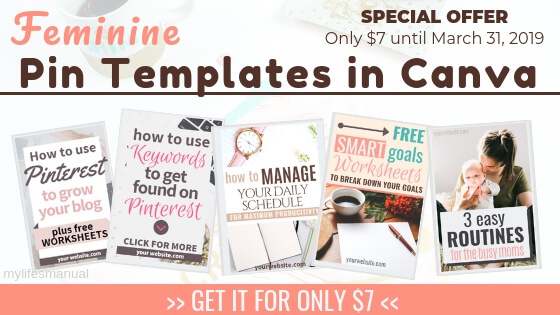 Lena Gott has awesome templates for ebooks and opt-in freebies that you can edit and use as a lead magnet. If your readers love using Journals, create your own quickly using these beautiful Journal Templates! Reports can be used to get your readers on your email list too. If you blog about blogging, this report about affiliate marketing is a great lead magnet. Grab this Bundle report about Website traffic where you can get 4 reports all about getting traffic to your website. A Ready-to-publish planner is available here. Grab it and use it as your opt-in freebie. List By Number is a great course to take if you want to build your email list fast. Again it’s so crucial to your blogging success that you should focus on building your email list first. It allows you to bring readers back to your blog. Having a list also allows you to grow your social media reach. Last but not least, staying in touch regularly via email gives you a chance to build a relationship with your audience and make offers via email. I hope this blog post inspires you to give building your email list a try! 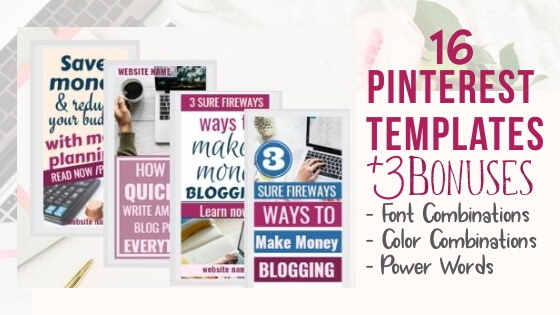 You can also download the Bloggers Checklist. It makes creating passive income a lot easier even for new bloggers. Go download the FREE checklist here! If you like this post, please comment, share, or pin it for later. I am at the point where I am ready to grow my email list. I am doing well on social media, but not getting subscribers. It would be great to have both! Hi Laurie, I am happy that you are ready to grow your list. I hope this post helps your. I'm in the same boat... finally starting to get some traffic to my blog, but the only people who have signed up for my email list are people I know personally. I would love to start converting some traffic into email subscribers, but not sure how! You offer so many resources! Thank you so much! Thanks for sharing, I have been blogging for a while now but never even started collecting emails, always felt I have nothing to offer my readers to collect their email, but your post has really motivated me. I like how you wrote your post, but you are forgetting some important things regarding email marketing. One of the biggest points is that you need to verify all emails in your list and send to those which are reliable and working. You can do that by using an email verifier. Thanks so much for this information! Do you have an email subscription service that you recommend? I am currently using Convertkit, but my blog is a brand new, month-old baby, and spending $29 each month maybe isn't the smartest choice. I'm getting a little bit of traffic, but like the commenter above, my only subscribers are people that I know. I feel like now may be the time to make the switch to a different subscription service. Hi Miranda, Mailerlite is the best option for beginners. It has beautiful landing pages, easy to set up automation and free up to 1000 subscribers. They have superb customer service too. Give it a try and let me know if you need any help. It would be best to have an email list so you can build relationship to your readers. You can start with Mailerlite, it is free up to 1000 subscribers. You said you rarely go back to your book marked pages, same here! That's why I totally agree with you that email list building is a must for any blogger planning to succeed in this venture. By the way, I use mailerlite for email building as well and it been awesome. Thanks for the post. I've definitely struggled to grow my email list over the life of my blog. I'm going to have to save this so I can keep coming back to it when I'm working on it! There is a ton of great information in here! Thanks so much! Great tips—I’m pinning this for later. I’ve been struggling with what to use for an opt-in freebie. This is such a timely read. 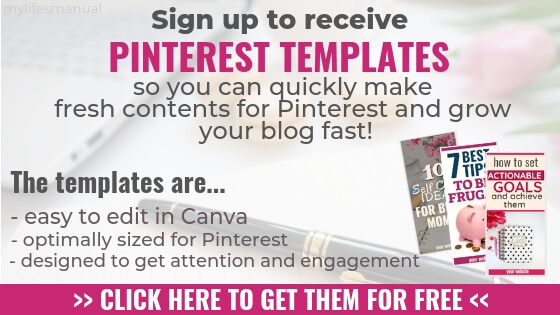 I need to grow my email list and that tip about freebies like printables and the like are a great way to start. Thank you so much for putting all these information together. This has so many helpful tips! I will definitely be saving this and pinning this as well to reference later this weekend when I have a moment to sit! Thanks for sharing and putting this great piece together! I love this post; if you ever put together a course or freebie challenge of growing the email list over the course of a month or a couple weeks or whatever, please let me know! I've read all the blogs, done all the resaerch, and it just isn't happening for me for whatever reason. I blog and pin at Freshly Messy, and its interesting I came across this today as I'm sorting my blog posts into sub groups on my pin boards. I'm pinning this now as we speak. Thanks for the info on Done For You Content - never knew about this. These are such great reasons and tips to grow your email list. I bit the bullet and hired a graphic artist to create my freebies, and my email list is growing slowly but surely! always looking to increase my subscriber list, thanks for the great tips! Thank you, thank you, thank you! I am literally working on how to grow my email list right now so this is perfect. I especially appreciate the free resources. Hey! Thanks for taking the time to put this list together. I have pinned it so I can come back to it. It's so full of great tips I need to read through it a few times. I want to create a freebie, I just struggle with the what and how! I will admit that my e-mail list is one I need to be better about! I do have a freebie, but I need to promote it more to get people to sign up. This part of my upcoming goals, I am really excited to start growing my mailing list! Thank you for the tips! I have an email list for new blog post announcements, but it's been soooo difficult to grow it! I have like, 6 followers, most being people I know. I understand that offering a freebie is great, but what if you're writing style/niche doesn't really opt for that? I'm a new lifestyle blogger, so I'm not exactly sure what to do! This is so useful and comprehensive information!